Deforestation during the Roman period was a result of the geographical expansion of the Roman Empire, with its increased population, large-scale agriculture, and unprecedented economic development. Roman expansion marks the transition in the Mediterranean from prehistory (around 1,000 BC) to the historical period beginning around 500 BC. Earth sustained a few million people 8,000 years ago and was still fundamentally pristine, but Rome drove human development in Western Europe and was a leading contributor of the deforestation around the Mediterranean. The most basic building supply in the Roman time period was wood. Trees were cut to house increasing populations throughout the Roman Empire. While some Mediterranean houses were built with brick and stone, roof structures, covered with tiles, as well as the floors in multistory apartment buildings were often made of wood. At one point it is estimated that the Roman Empire had a population of 60 million people, and an estimated one million or more in Rome alone (a population that was not matched in size in Europe until London in the 19th century). With such a large population increase, coupled with an enhancement of exuberant lifestyles and a high standard of living for the urbanized communities of the Roman world, resource consumption became exponentially extensive. Wood was a primary source of heating and used extensively in industry. Wood fuel constituted about 90 percent of the consumption overall, and was a major factor in Roman deforestation. Wood was essential fuel in industries like mining, smelting, and the making of ceramics. Wood and charcoal were the primary ancient fuels in public facilities, households, public baths and industries that produced light and heat. Forest areas around mining centers were deforested first, consuming all natural resources around the area of work. Once all the natural resources around the area of production were consumed, wood was then shipped and carried in to supply the furnaces and smelters for the mining centers. Eventually, these centers would shut down and move to areas within Roman territory to repeat the same cycle of deforestation, supplying an ever-growing population and consumption demand. Agriculture was the economic base for the Roman Empire. With an ever-increasing population, the clearing of land for crops was a primary cause of initial deforestation. Human hands gave way to the iron plough and the use of animals to clear dense forests to utilize the rich topsoil. Agriculture produced commodities that contributed to the economic prosperity of the Romans, who relied on the crops produced from the slaves/landowners. As a result, in 111 BC Roman law allowed anyone who occupied public land of up to 20 acres (81,000 m2) to keep it, provided it was brought into cultivation. This type of policy created widespread clearing and reflected the importance of agriculture, not only to the affluent, but also to citizens, to the military and to merchants engaged in trade with other regions. A major contributor to the environmental degradation and barrier to the regeneration of forests was the grazing of domestic animals. Animals grazed and destroyed land areas unsuitable for cultivation. The four major species in Greco-Roman grazing were cattle, sheep, goats, and swine. Each had there [sic] own dietary preferences, and together they form a synergistic partnership that is destructive to virtually all vegetation within reach. Herders cut tree branches or whole trees to let them graze. Swine ate acorns, chestnuts, and beechnuts, which destroyed the ability of trees to reproduce. Sheep ate grass right down to the soil. Goats will almost eat anything but preferred woody plants such as bushes and young trees. Herds of goats throughout the centuries were everywhere in the Mediterranean and were easy to care for. Goats basically destroyed the mountainous regions for its grazing. The consumption of hillside plants and young trees caused erosion, stripping hillsides of soils and eventually exposing bare rock. Silt and gravel would wash down off the hills and mountains creating other problems such as flooding, siltation, and filled-in marshlands. With natural resources dwindling, maintaining a strong military for the conquering of new lands was vital in Roman times. Military campaigns devastated the countryside. Some farmers were forced to fight instead of caring for the land. When natural resources were depleted in already occupied regions of the Roman Empire, the military was sent to not only to defend lands of the Romans, but also to accumulate other areas of interest that had a plentiful supply of timber to accommodate the needs of the Roman economy. Julius Caesar himself ordered troops to cut down forests to prevent sneak attacks. Deforestation ensured that the forests could not provide cover and camouflage for Rome's enemies. The size of the standing army was about 300,000 and increased to 600,000 toward the late empire period. Roman legions deforested areas where they camped or marched to reduce the cover where their adversaries could hide and or mount a sneak attack. The military utilized these resources and built fortresses, along with tools and transportation to carry supplies where needed. Shipbuilding was a major contributor to deforestation and was of great economic and military significance. The importance attached to the supply of timber for building ships cannot be denied; ships were crucial to the burgeoning economic life of the Mediterranean, and sea power was vital in the exercise of political control. Warships had priority over merchant vessels in competition for materials. Thousands of ships were built during this classical period. At times of war, hundreds could be built within a month. This put tremendous pressure on supply of usable timbers. Consequently, one effect of shipbuilding centers was the scarcity of timber in their immediate areas. Then, after immediate areas were depleted of wood resources, the transportation of wood timbers from other areas was the next option. Transportation was expensive, but increasing numbers of ships were needed to maintain naval dominance. Early urbanization of Rome and surrounding areas was focused around the ability to obtain natural resources. Lowland areas and areas close to water transports were highly urbanized first, but as population increased along with trade and manufacturing, imperial expansion and colonization of conquered territories was needed. The environment underwent drastic degradation as pollution from the burning of fuelwood filled the air and smelters that used wood as fuel transmitted heavy metals into the atmosphere. The creation of large cities contributed to deforestation in the classical world. Overcrowding forced citizens to move to the hillsides where forests once stood to build their homes. Wood was needed to not only build homes, but also theaters, public buildings, chapels and other fixtures of modern cities as well as keep them heated. Urbanization and the resulting degradation of the environment ultimately weakened the Roman Empire. With an increased demand for resources and food, constant pressure was put upon the land and soil to provide food for a growing economy. Regular clearing and plowing exhausted existing soil, which eventually became infertile. Runoff and eroded soil from deforested hillsides increased the amount of silt and impeded the flow of water into agricultural areas. Eventually, due to the Mediterranean climate and the increased depletion of soil nutrients from hundreds of years of harvesting, yields diminished. Rainwater that had been locked into the soil through vegetation and forests was now running off too quickly, with each raindrop unprotected by plants or by a litter layer. Erosion accelerated up to twentyfold in the 3rd century, creating unusable marshlands, which spread diseases such as malaria. Flooding from runoff disrupted water supply to natural springs and rivers, but also increased siltation to coastal areas and harbors at river deltas. Rains washed away the unprotected earth and greatly altered coastlines, in some cases, pushing them many miles farther out to sea as in the case around the mouths of the Po River. The washing away of topsoil and deposits of silt and gravel meant that harbors and ports needed to be moved, causing further burden upon the economy. Even in the city of Rome, floods covered the lower parts of the city and backed up the sewers. The first such flood was noted in 241 BC; records indicate increased flooding of the river from that time onward. Clearing for agricultural needs and for heat was a necessity for long-term survival in Roman times, though there is a debate as to whether the Romans understood the implications of deforestation. Richard Grove said, "states will act to prevent environmental degradation only when their economic interests are shown to be directly threatened." The Romans did have some forms of ecological conservation though. Recycling of glassware was practiced along with architectural design that utilized solar heating. 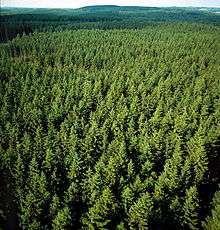 Forests were also under government regulations and protected for future resources. Unfortunately, these attempts may have been too little too late. In the 5th century BC Plato complained that "the loss of timber had denuded the hills and plains surrounding Athens and caused massive soil erosion." Cicero also noted "we (humans) are the masters of what the earth produces," and "all things in this world which men employ have been created and provided for the sake of men." Tainter argued that "deforestation did not cause the Roman collapse," but that one could make a case as to being a part of it. As Williams wrote, it is more likely that constant war, ravaging epidemics, rebellion, invasion from outside, a declining population, and an excessive degree of urbanization, separately or in combination, operated on the land in an empire that had extended beyond its means. In the 2011 environmental book Life Without Oil by Steve Hallett, the author argues that the collapse of the Roman Empire may have been linked to a peak wood scenario in the Mediterranean basin. He suggests that, as wood had to be hauled from ever further away, the law of diminishing returns undermined the economic performance of Roman industry, leaving Rome vulnerable to the other, well documented problems of invasion and internal division. They discuss this as cautionary tale comparing it to contemporary society's potential fate under a post-peak oil scenario. Some argue that almost all of the above is based on an unhistorical projection of present concerns, onto the past. This alternative view argues that there are immense complexities of time, space, climate, geology and topography which, when combined with our extremely fragmentary information, makes generalizations almost impossible. Tree crops, dates, figs, olives, chestnuts etc, played a very important role in Roman agriculture. Grains were often intercultivated with these tree crops. Almost all species of trees grow again when cut down. Cutting down a wood does not, by itself, destroy woodland. Coppicing is one way in which wood could be harvested on a sustainable basis for example. Hypocausts were pre-adapted to burn poor quality fuels like straw as well as coal. There is good reason to believe that both straw and coal were important fuels in antiquity, especially in Roman Britain where coal was abundant in many areas. A great deal of protection against soil erosion arises from terracing hillsides. We do not know how extensive terraces were in antiquity but a good deal of the soil erosion, here assumed to be caused by the Romans, may well date to the dark ages when the maintenance of terraces broke down. Changes in tree cover may well arise from differences in climate, which are still not well understood. But there is some evidence that the decline of the Roman West is linked to climate change. 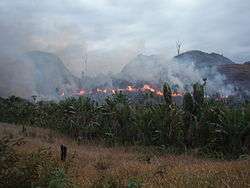 Slash and burn agriculture, associated with lower populations than the Roman period, can be at least as responsible for deforestation and soil erosion as Roman agriculture. Coastal marshes can be caused by sea level changes quite as much as soil erosion. There may be reasons to believe that tree diseases as early as 6,000 years ago caused the elm decline but that this tree decline was related in some complex way to the practices of neolithic farmers. ↑ Williams, Michael. (2006) Deforesting the Earth: From Pre-History to Global Crisis. An Abridgement. Chicago: University of Chicago, 62. ↑ Hughes, J. Donald. (1994) Pan's Travail. Maryland: Johns Hopkins, 157. ↑ Williams, Michael. (2006) Deforesting the Earth: From Pre-History to Global Crisis. An Abridgement. Chicago: University of Chicago, 63. ↑ Williams, Michael. (2006) Deforesting the Earth: From Pre-History to Global Crisis. An Abridgement. Chicago: University of Chicago, 68. ↑ Williams, Michael. (2006) Deforesting the Earth: From Pre-History to Global Crisis. An Abridgement. Chicago: University of Chicago, 71. ↑ Hughes, J. Donald. (1994) Pan's Travail. Maryland: Johns Hopkins, 86. ↑ Delano Smith, Catherine. (1996). The "wilderness" in Roman Times. In Shipley, Graham & Salmon, John. Human Landscapes in Classical Antiquities. New York: Routledge, 159. ↑ Chew, Sing. (2001) World Ecological Degradation. Walnut Creek: AltaMira, 97. ↑ Williams, Michael. (2006) Deforesting the Earth: From Pre-History to Global Crisis. An Abridgement. Chicago: University of Chicago, 74. ↑ Chew, Sing. (2001) World Ecological Degradation. Walnut Creek: AltaMira, 96. ↑ Tainter, Joseph (2006). "Archeology of Overshoot and Collapse". Annual Review of Anthropology. 35: 59–74. doi:10.1146/annurev.anthro.35.081705.123136. ↑ Williams, Michael (2006). Deforesting the Earth: From Prehistory to Global Crisis. An Abridgement. Chicago: University of Chicago. p. 80. ISBN 0-226-89926-8. ↑ Hallett, Steve (2011). Life Without Oil: Why We Must Shift to a New Energy Future. Prometheus Books. Retrieved July 24, 2012. ↑ Rackham, Oliver; Grove, Alfred Thomas (2003). The nature of Mediterranean Europe : an ecological history (2. printing, with corr. ed.). New Haven, Conn. ;London: Yale University Press. p. 174. ISBN 9780300100556. ↑ Cheyette, F. L. (2008). "The disappearance of the ancient landscape and the climatic anomaly of the early Middle Ages: a question to be pursued". Early Medieval Europe. 16 (2): 127–165. doi:10.1111/j.1468-0254.2008.00225.x. ↑ Rasmussen, Peter; Christensen, Kjeld (1999). "The mid-Holocene Ulmus decline: a new way to evaluate the pathogen hypothesis". Diamond, Jared (2005). Collapse: How Societies Choose to Fail or Succeed. Viking Press. ISBN 0-14-303655-6. Duncan-Jones, Richard (1974). The economy of the Roman Empire. Cambridge University Press. ISBN 0-521-20165-9. Hughes, J. Donald (2001). An Environmental History of the World. New York: Routledge. ISBN 0-203-28539-5. "Role of Deforestation in the Roman Empire". BBC. March 23, 2004.